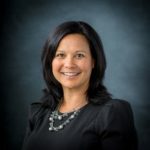 Angie is a 1998 graduate of Xavier University and joined Wealth Planning Corporation in 2008 and serves as the Vice President of Operations / Relationship Manager. Before joining Wealth Planning Corporation, she spent 12 years with a local financial institution as a Relationship and Branch Manager. Married with two children, Angie enjoys time with family and friends and, when time allows, she also enjoys reading. She takes pleasure in watching her children play soccer and baseball, as well as taking them on their favorite rides at Kings Island.